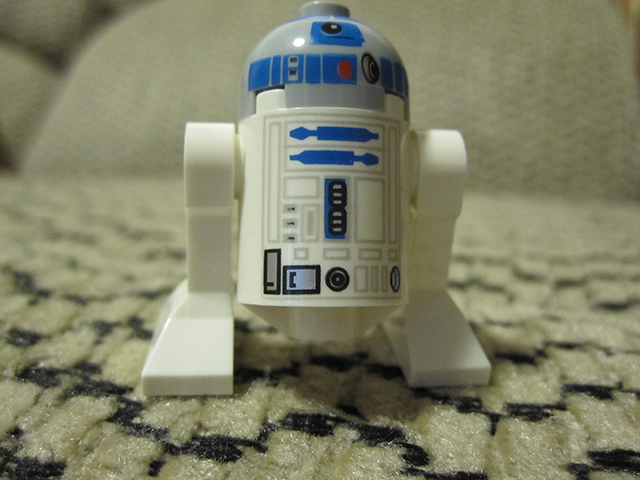 As I converse with other LEGO fans in the blogosphere, I had one such conversation with KevinIL, telling him that I had a Star Wars LEGO set still in the box. His utter shock that a LEGO fan would be holding out like this was more than the two of us could take. 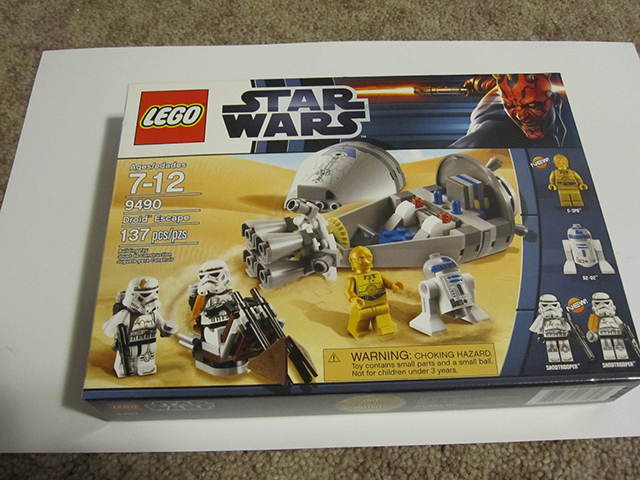 So this is the start of me finally getting my NIB LEGO sets put together. 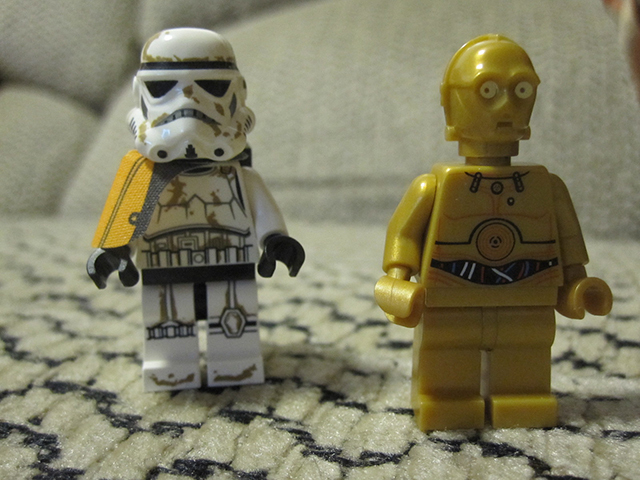 I decided to start with the Droid Escape set, which gives me R2-D2 and C-3PO minifigs, which I didn’t have before. The details this set has are pretty cool, using many details in the coloration of the characters. It took me about an hour to put this all together [distractions included] and it always seems like I want to take it all apart and see if I can put it together faster the next time. Putting this set together reminded me of the scene in Star Wars: A New Hope where the droids wander the desert after crash landing on Tatooine. 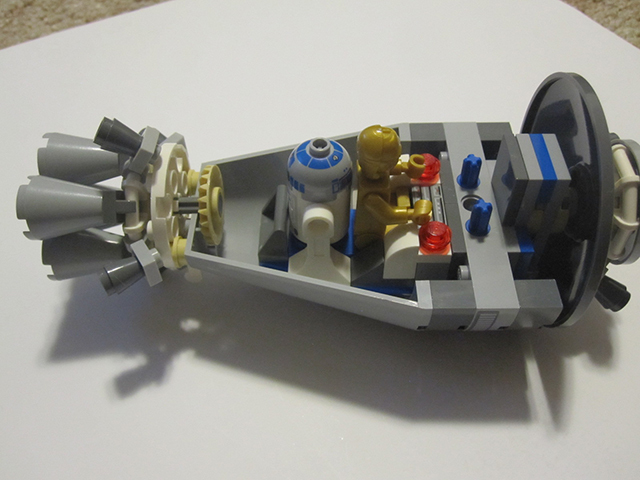 LEGO gets major points for recreating the pieces for that scene. Now let’s hope I don’t take forever and a day to put together the next set. Nope. Keep looking, Desert Troopers. I have that same set, but not the sand troopers. Hmm. No Sandtroppers? You should have gotten two of them in the set. “Start with”??? You mean you have more than just one NIB set that you haven’t built??? BLASPHEMY!!! And, Kim, how do you not have Sandtroopers. This set comes with two of them and that’s the only way it comes. Yes, there are 4 more sets (small individual CITY sets and one Pharaoh’s Quest) that are sitting on a shelf in my home office. Before the month is out, they will be built, photographed and posted out here. BLASPHEMY NO MORE!! !